Each Sherrill sofa is hand crafted in North Carolina, using 8-way hand-tied springs, with customizable fabrics, trim, and wood finishes; a combination of timeless traditional design and exciting contemporary touches to create one-of-a kind upholstery that you’ll treasure for years to come. 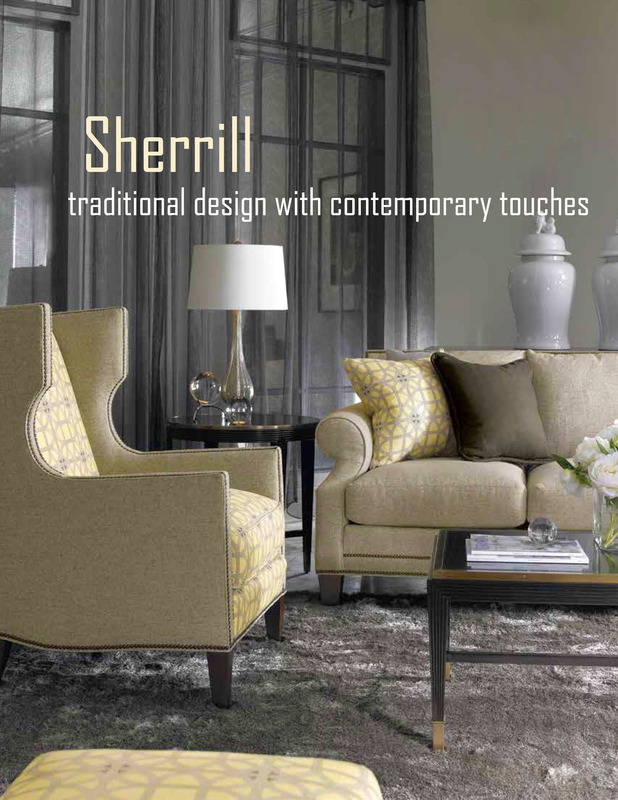 From Hickory, North Carolina comes Sherrill Furniture, with one mission in mind – to be recognized by discriminating customers as the leader in beautiful home furnishings through its excellence in quality, fashion, innovation, and service. This is achieved by a workforce of skilled craftsmen who combine time honored manufacturing and the highest quality materials, making each piece of furniture to your custom specifications. sofa, chair, chaise and ottoman is lovingly made in Hickory, North Carolina, USA. Create your own custom sofa, chair, and ottoman by selecting your: 1) depth of 38 or 41 inches; 2) frame style from over 30 choices; 3) arm from 12 options; 4) back from 6 options; and 5) base from 9 options. 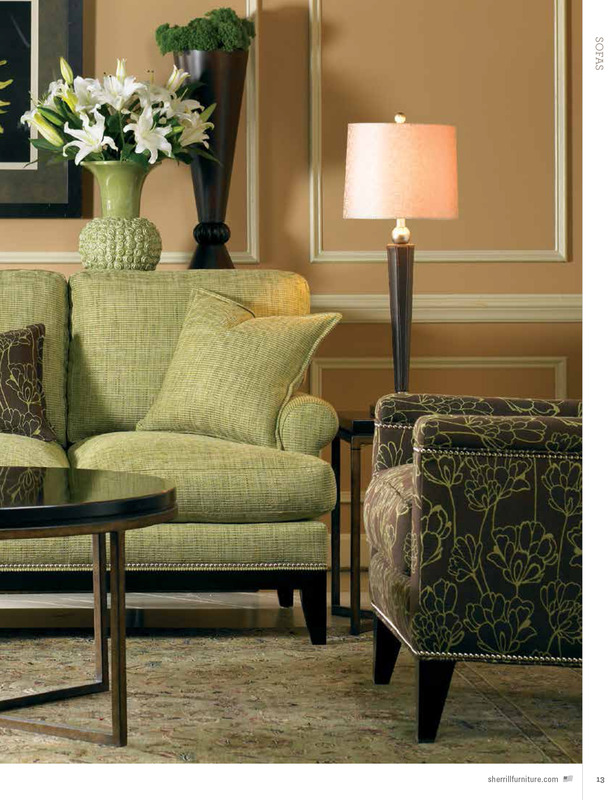 All this before you consider selecting from Sherrill’s hundreds of fabrics and trims. Oh my!This might sound frightening. But don’t be scared, because our experienced interior designers make the process simple and right.